Discussion in 'Article Discussion' started by Meanmotion, 14 Jun 2013. 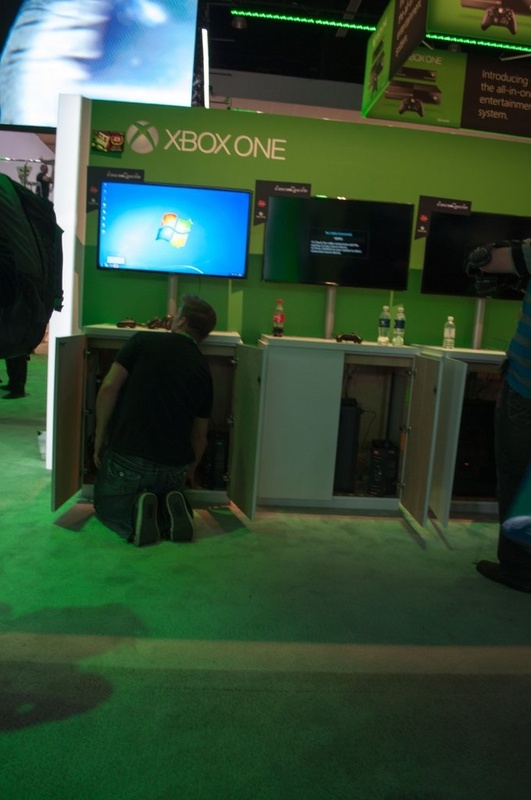 Microsoft has seemingly confirmed that the Xbox One will not work if imported. atc95 I have the upgrade bug! I will say it once and say it again: this is a ploy by Microsoft to increase windows 8 sales as people move to PC gaming. This wouldn't be so bad if they could get a Xbone in all regions this Christmas, But you have to wounder what this will do to sales if little johnny can only have a PS4 under the Christmas tree this year. From my understanding the whole of Asia will be post Xmas 2013, Its almost like they want the Xbone to fail, what with no second hand games sales, having to check-in every 24Hrs, the free NSA CCTV in your living room, and the difference in price. PS4 has a better graphics chip and its ram runs at a much higher frequency. Does that count? i think they need to understand the point of advertisement... you show a lot of good, and some of the important bads.......... not 50 thousand bad things and 1 unimportant good thing(better browser). Does PS4 have such regional restrictions? I heard that it will have a paid online service. If it isn't restricted, then MS is just coming up with fake excuses for being too lazy/cheap to set up servers in other countries to enforce their online-only requirement. They can keep their games then, they'd probably force woeful localizations on them anyways. * Consoles are focused more on parallel processing (graphics and physics) than other calculations. This gives the GPU the priority, therefore, DDR5 would offer the best overall performance. Otherwise, I completely agree with you, and is one reason why I'm hesitant about the idea of getting a DDR4 based computer. Now, I'm not a console owner, so this is all hypothetical, but: if I emigrate, does this mean I lose my xbox live account? Because the Xbox One hardware isn't actually finished yet and the Xbox One development units are just Windows-based PC? No. You only won't be able to use it until MS starts selling XBOX One in your new country. Which could be late 2014 if you emigrate to Asia. What if they make a mistake do you still lose all the games you bought ? I suspect until someone challenges it in court it is. I'm kind of surprised some of these T&C issues haven't yet been the subject of litigation. Wow. The gloves are off now. What MS are saying is; if you don't live in a part of the world we trust, you don't matter to us. All you will do is pirate games.